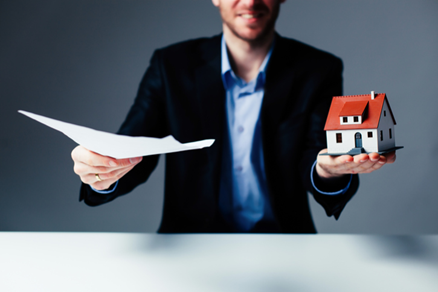 A critical step for the sale of any home is the review of the property’s title report. A buyer, their mortgage lender, and the title insurance company will want to review the title history of the property to make sure that the purchase of the property can occur, free of any unnecessary liens and encumbrances. Some title issues can be cleared before the home is listed for sale so they don’t deter interested buyers, but many can be paid at the close of escrow. Property taxes are an ongoing lien that cannot be removed until paid, and there are many title restrictions that will stay with the property if it has easements, condo restrictions or other agreements with neighbors or municipalities. If you are planning to sell your home, it is a good idea to look at your title report and resolve any outstanding issues that could be a roadblock to a successful sale. Here are six title issues that need to be resolved for the property to change ownership. IRS Tax Liens – The IRS can attach a lien to your real estate if you do not pay your taxes. In order to remove the lien, the IRS needs to be paid the back taxes. Unpaid Property Taxes – If your property tax payments are delinquent, this needs to be paid prior to sale of the property. Contractor or Mechanics Liens – Unpaid contractors, like roofers or painters, can file a lien against a property for work they performed and for which they did not receive payment. The lien isn’t satisfied until the bill is paid. Judgments – A homeowner may have judgments against them attached to their real estate. This could be for unpaid child support or other unpaid creditors that went to court to obtain a judgment. The lien won’t be removed until the financial obligation is paid. Statement of Information – If you have a common name—such as John Smith—it’s possible you may have judgments against you which actually belong to a different John Smith. Still, they may be shown as belonging to you in a title review. They can become your problem until you resolve the issue(s) by completing a Statement of Information to verify that you are a different John Smith. Encroachments – An encroachment is a situation in real estate where a property owner violates the property rights of their neighbor by building on or extending a structure over a neighbor’s land or property. You may not be bothered by it, but it will need to be disclosed to any potential buyers as part of their purchasing decision. If you decide to try and resolve the encroachment before a sale, you can talk to the neighbor and try to handle it out of the courts, consider selling the encroached-upon property to them, or if all else fails, going to court may be required to eliminate the encroachment. Resolving most of these title issues before a home sale can be easily done. Most involve unpaid bills—taxes, contractors and unpaid creditors—and can be resolved by paying the debts before a buyer starts a title search. Some title problems can be resolved simply on the closing day. Contact your Title Sales Representative for more information on how to resolve title issues before your big sale. Adapted from an article on rismedia.com. This material is not intended to be relied upon as a statement of the law, and is not to be construed as legal, tax or investment advice. You are encouraged to consult your legal, tax or investment professional for specific advice. The material is meant for general illustration and/or informational purposes only. Although the information has been gathered from sources believed to be reliable, no representation is made as to its accuracy.